The latest trailer of the Star Wars franchise has finally dropped and the nostalgia has hit us very hard. The first trailer for the highly-anticipated end to the Skywalker Saga is here, and it finally has a title, ' Star Wars: The Rise of Skywalker', reported CBS. Given the fact that it is going to be the final episode of the 'Star Wars' trilogy, the excitement and the sentiment for this movie is obviously high. 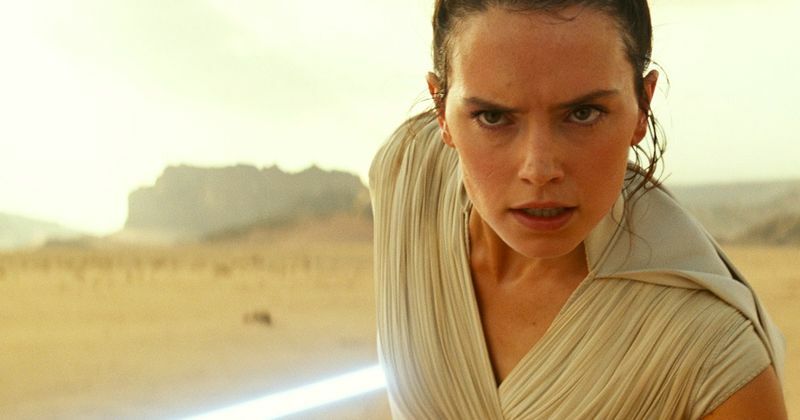 During a panel at Star Wars Celebration today, Lucasfilm debuted the first trailer for 'Episode IX', which will officially be called 'Star Wars: The Rise of Skywalker'. The movie is directed by J.J. Abraham who first started Disney’s Star Wars efforts with The Force Awakens back in 2015. According to the director the new installment takes place sometime after Rian Johnson’s The Last Jedi, in which Leia Organa’s Resistance movement was forced on the run and battered by the First Order. The movie also saw the death of Luke Skywalker after a fight with his nephew Kylo Ren, who also killed the leader of the First Order, Supreme Leader Snoke. The movie will also bring back Mark Hamil, most probably as a Force Ghost, the late Carrie Fisher, through the footage shot for 'The Force Awakens', along with Billy Dee Williams who will reprise his role as Lando Calrissian. Other actors from the sequel trilogy — Daisy Ridley, Adam Driver, John Boyega, Oscar Isaac, Lupita Nyong’o, Domhnall Gleeson, Kelly Marie Tran, Joonas Suotamo, Billie Lourd, and Anthony Daniels will also be back for their respective roles. The trailer also gave a hint towards the return of the franchise's most notorious villain after Hamill’s Skywalker intones that “No one’s ever really gone,” Emperor Palpatine’s iconic cackle can be heard in voiceover. Ian McDiarmid also appeared on stage at the celebration as the panel concluded as well. It has been long speculated that this could be the last 'Star Wars' movie after the lukewarm performance of last year’s 'Solo: A Star Wars Story', Disney CEO Bob Iger admitted that his company had oversaturated the market, and fans should expect a “slowdown” in film releases. Additionally, Disney still has big plans for the franchise, even with no feature films scheduled, for now at least. The Studio/company is expected to release a live-action TV series called 'The Mandalorian' it's streaming service Disney+ next year, and it has also announced a second live-action show featuring Rogue One actor Diego Luna.